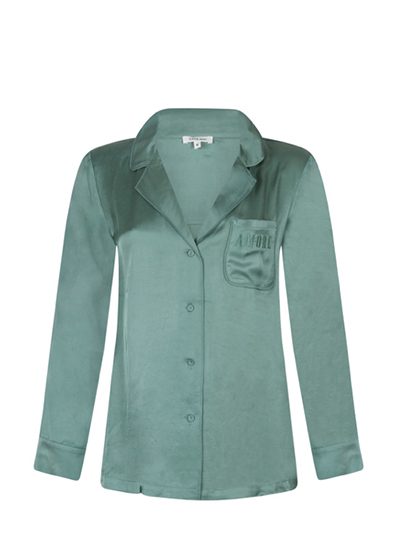 LOVE STORIES, This pyjama top in a fresh, seaweed green colourway has a fluid, slouchy fit. Cut from a luxurious silky fabric that drapes beautifully against the body. A small chest pocket is decorated with an Amore embroidery detail. 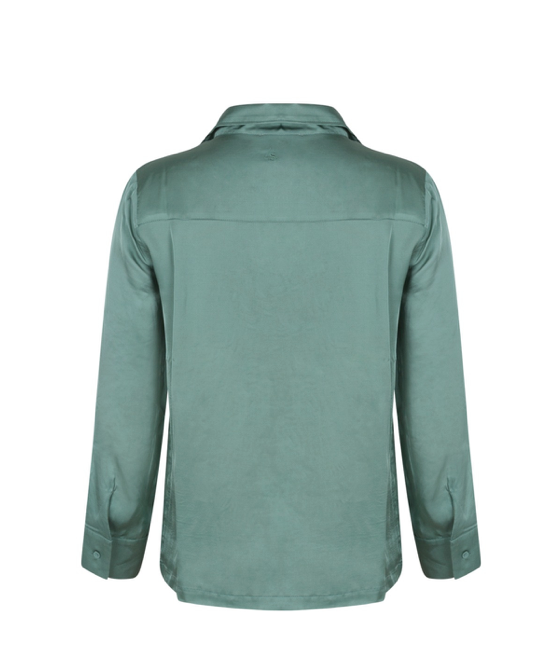 This easy style is finished with fabric covered buttons and chic tonal piping.